Description: I bought a Lilliberg 3 seater sofa frame by itself because it was on sale. I had an old metal futon that was falling apart so I used the hinges on the futon to turn the Lilliberg sofa into a Lilliberg futon. 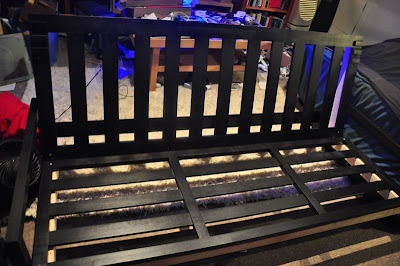 First I shortened the legs by a few inches because I like lower furniture but also the futon hinges would add a few inches to the height of the sofa. 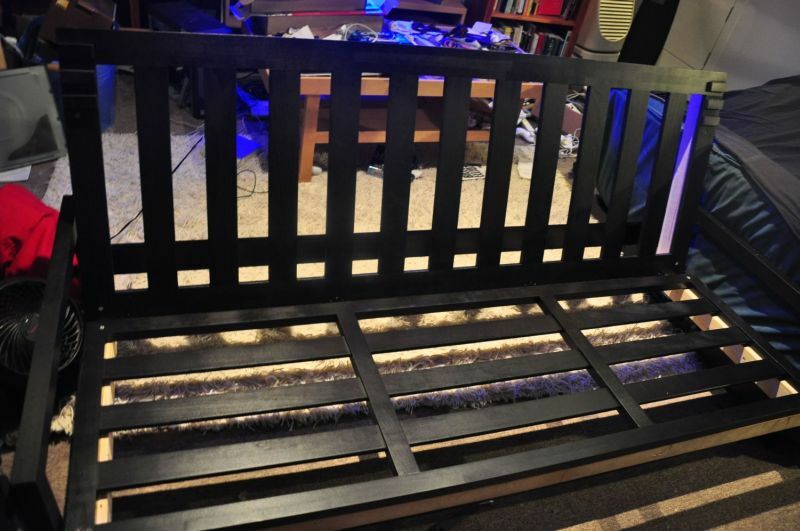 The futon back and bottom needed a wooden frame to be attached to the hinges. I cut four pieces of 2×3 and attached them to the hinge using various L brackets I had laying around. 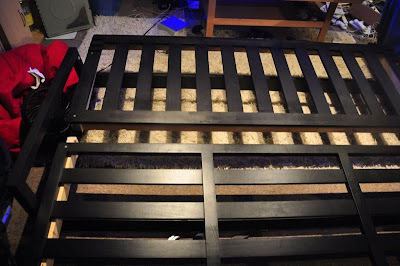 Then, with the frame extended, I drilled holes to attach the hinges to the futon frame so that the 2×3 supports would lie flat on the lengthwise beams. 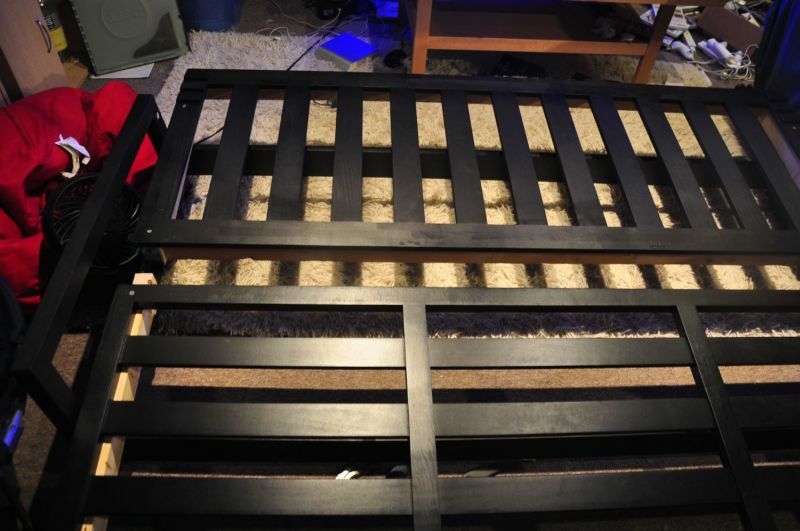 I also added 1x3s lengthwise to support the middle of the futon. These were attached with small brackets to the 2×3 supports. The Lilliberg back and bottom come attached with several small metal hinges so I removed those so that each piece was independent and could be screwed to the wooden frame of 2×3 and 1x3s. The futon folds up very easily and is nice and solid because of the additional wooden frame. Lowering the Lilliberg by cutting off a few inches made the sofa the right size because I added extra padding. I topped it with two regular futon mattresses which were a bit longer than the Lilliberg but I could get it in there by scrunching the mattress. See more of Bobby’s Lilliberg futon. Ikea Lillberg sofa/futon in best premise. Sits up for a sofa/ lays set into a bed. Cushions do not know covers on them but they are relatively promiscuous to attain online/ caretaker soft to get yourself… $200+ new a few geezerhood ago and has virtuous sat in the aft bedroom.